With no hyperbole, I can say that this GTI is quite likely the best all-around automobile for less than $30,000. Forget the VW badge for a moment, and whatever associations it may hold for you, good or bad. Consider this GTI a luxurious Audit in Wolfsburg clothing. On the eve of the climate change march (yes, this blogger will be there in Manhattan), we would do well to remember the fossil fuel not burned by improving fuel economy. 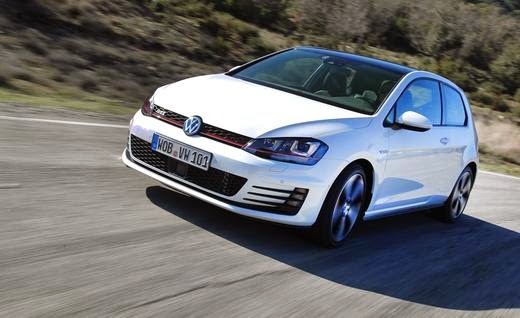 The GTI doesn't match the Golf TDI, in which the same reviewer eked out 60 mpg in a mileage-preserving drive on the Jersey shore, but as this writer saw on a recent visit to Switzerland and Italy, the smaller, often diesel-based cars in Europe are doing just fine in the marketplace. There are practical tradeoffs to be made while the waiting goes on for renewables to take hold. In my neighborhood, SUV sales remain brisk, but at least there are well-engineered alternatives for the sustainability-minded.